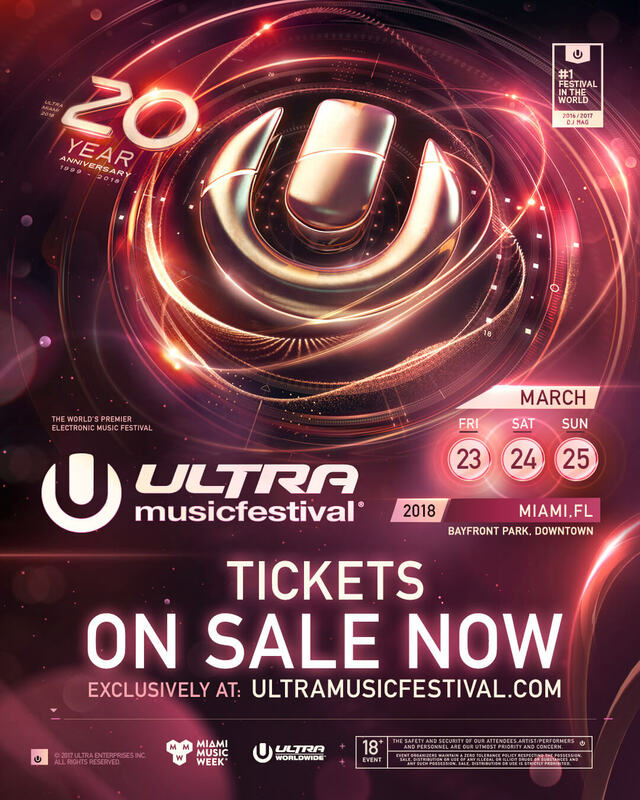 In anticipation of its milestone 20th anniversary during MIAMI MUSIC WEEK in March 2018, the twice crowned #1 festival in the world*, ULTRA MUSIC FESTIVAL, now drops the 2017 Official Aftermovie for this year’s festival. Through the lens of beloved videographer and ULTRA Worldwide staple, Charly Friedrichs (FINAL KID), the essence of 2017’s festival has been captured in razor sharp 4K. From conception to culmination, the accomplished film maker beautifully sets the stage for the impending 20th anniversary celebration. Highlighting the unique experience to be had at each of Ultra’s eight stages – from the state-of-the-art Main Stage and two incredible RESISTANCE arenas (MegaStructure and Arcadia SPIDER) to ULTRA Worldwide’s iconic arch and the electric LIVE Stage – this 15-minute film puts fans in the front seat of what it was like to be an Ultranaut in 2017. With a skillfully curated soundtrack, a vast variety of tracks are covered from the multi-genre festival, including original music from Martin Garrix, Axwell /\ Ingrosso, Tchami, Malaa, Camelphat, Wehbba and many more. A limited number of Tier 3 Tickets, starting at $349.95*, are available on a first-come first-served basis, exclusively to those who registered in advance, with Tier 4 and VIP tickets available to all. Payment plans are also available and are paid in three installments of $131.32*, starting from your initial deposit.